Works from artists including Donald Rodney, Gillian Wearing, Helen Chadwick, Francis Bacon and Barbara Walker form part of a new experimental exhibition at Birmingham Museum & Art Gallery which explores underrepresented stories of body image and identity. Within and Without: Body Image and the Self, open now until 1st February 2018, examines the questions, anxieties and stereotypes faced when trying to attain the ideal body we see reflected in public spaces. 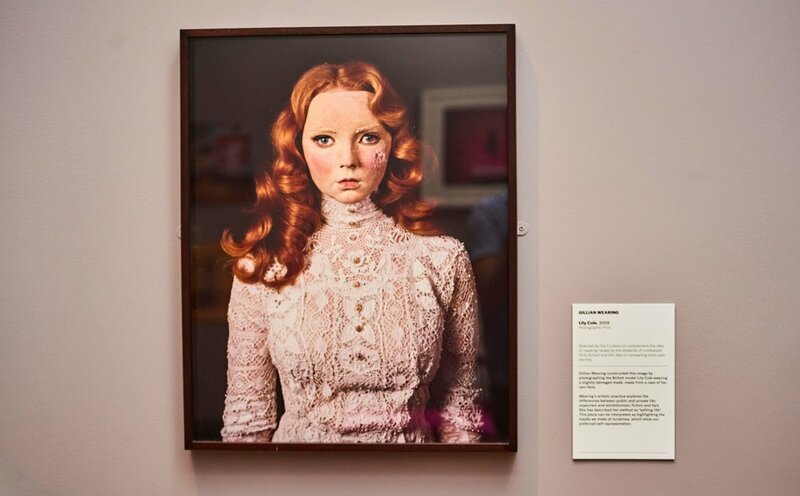 Including artworks dating from 1825 to present day, with a new photography commission created especially for the exhibition, the display explores how body image impacts on issues such as social status, gender, health, aesthetics, religion, politics and sexuality. At a time when we are bombarded with images of ‘body perfection’ and idealistic physical forms through social media, advertising and TV, the exhibition uses historical and contemporary images of the human body to uncover bodies and conversations that have historically been missing. Stand out works in the show include Pygmalion (1997) by Donald Rodney, which is on display for the first time since the artist’s death in 1998. Pygmalion explores the complexities of racial identities, masculinity, perfection and fame through an irreverent depiction of Michael Jackson as a moving automaton. This piece provokes a discussion about one of the exhibition’s key themes of colourism and how racial identities affect lived experiences. Barbara Walker’s oil painting Seventeen (2012) forms part of the display and is part of the Birmingham-based artist’s Ladybird book series which challenges the gender and racial stereotypes depicted in the original books. One of the other main themes in the exhibition is the Male Gaze and how women are often presented as sexual objects for a male viewer. This is explored through Helen Chadwick’s Vanity (1986) which asks the observer to consider whether the artist is challenging or playing up to what is typically considered the desirable behaviour and appearance for a woman. As part of the interrogation of the Male Gaze a calendar from the Bengal Palace Balti Restaurant (2001) is on display. 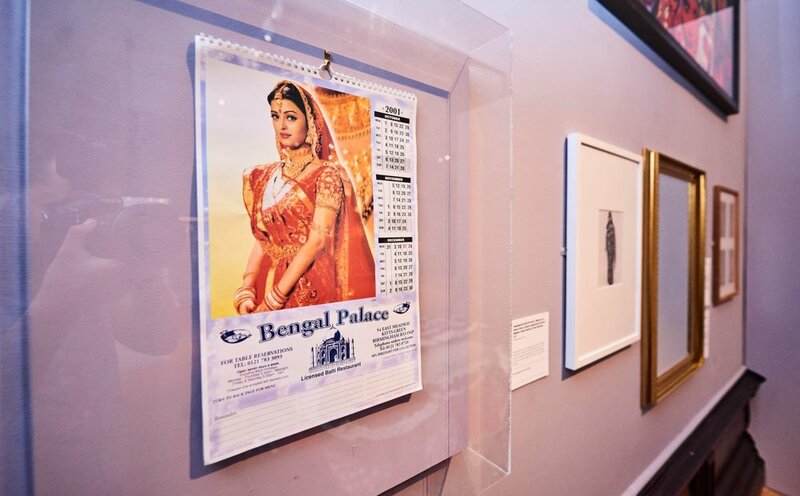 This piece looks at the representations of South Asian women in a modern Birmingham context, and asks whose gaze is this calendar is made for. This is the second prototype exhibition in the ‘Story Lab’ gallery at BMAG, which has been created with the city’s diverse individuals, communities and professionals to help define innovative new ways of understanding Birmingham’s collection of museum objects. The specially designed ‘Story Lab’ space has been created to test new ideas and radical approaches to provide vital insight and feedback for the plans for the museum re-development. The innovative approach means that visitors have multiple ways of experiencing the exhibition and its content, including personal and academic responses to the artworks, so they can decide what they prefer. 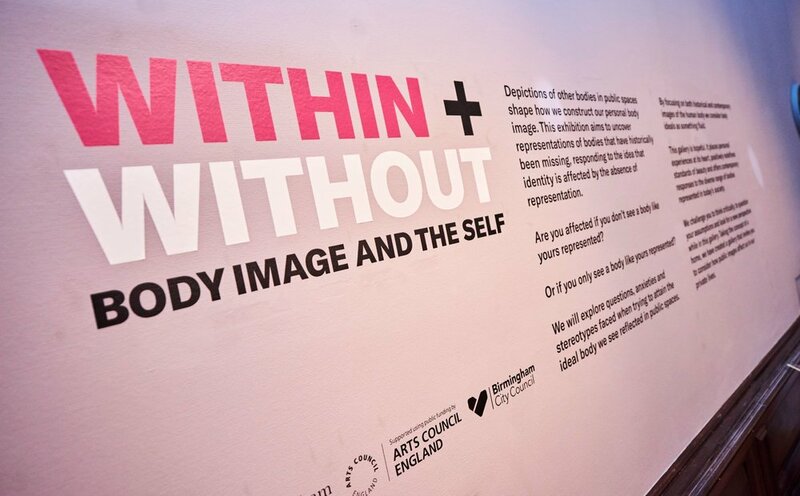 Within and Without: Body Image and the Self has been created alongside various groups, including Lordswood Girls School students, Birmingham LGBTQ+ Refugee Group and an over 50s group. The exhibition was also created with eight ‘colLaborators’, Aksana Khan, Christopher Olive, Ian Sergeant, Anna Jankowiak, Ellie Mousley, Rikard Olsson, Niamh O’Dowd and Taylor Howson, who chose the overall concept and design of the exhibition, along with objects for display. Museum staff Hannah Graham and Rachael Minott led the collaborative process.